We love this recipe from Nancy Harmon Jenkins, author of Virgin Territory, Exploring the World of Olive Oil. While many say that olive oil is not good for baking, she offers this amazing recipe for olive oil brownies. Nancy recommends the use of a mild, extra-virgin olive oil that still has a fruity flavor. We promise, these brownies won't taste like olive oil. The olive oil imparts a complex flavor that you just cant get from butter. 1. Preheat the oven to 350 F. Butter an 8-inch-by-8-inch square pan. 2. 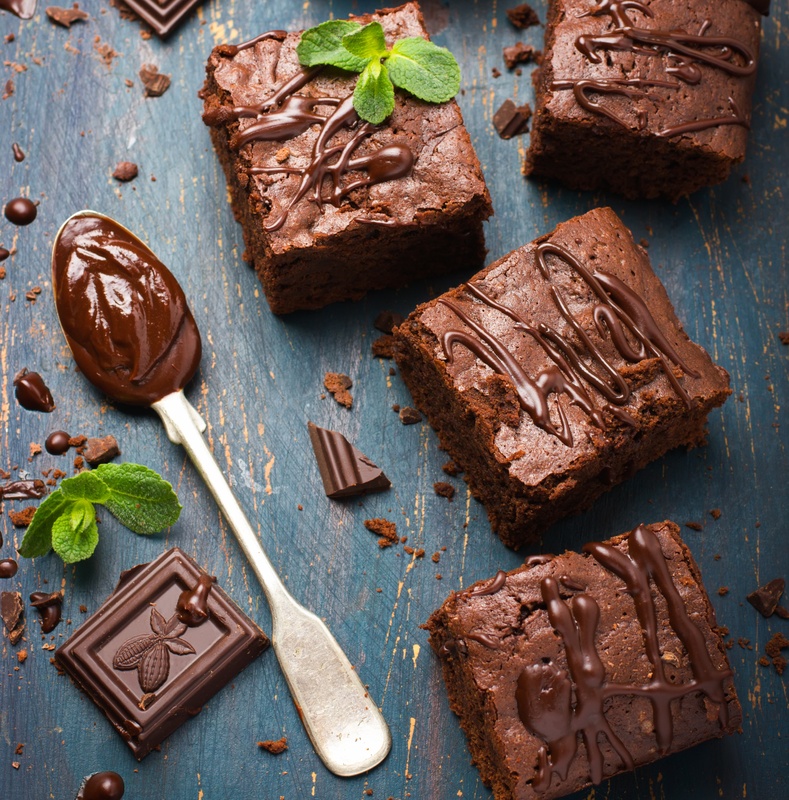 Break up the chocolate in small pieces and set it in an oven-safe dish, then put it in the oven to melt thoroughly. When it is completely soft, combine it with the olive oil, beating with a fork to mix thoroughly. Set aside to cool, but do not refrigerate. 3. Beat the eggs until they are thick and foamy, then beat in the sugar, about ¼ cup at a time. When the sugar is thoroughly incorporated and the chocolate mixture has cooled down, combine the two, stirring them together with a spatula or wooden spoon (do not beat). 4. Using a rubber spatula, stir in the flour, vanilla and walnuts. Spread the mixture in the prepared brownie pan and transfer to the preheated oven. 5. Bake 25 minutes or until the edges start to pull away from the pan. Remove from the oven and set on a wire rack to cool completely before cutting into squares.